“I think I may be losing it.” From its very first sentence, this introspective novel pulls you into the mind of its leading character, Jeffery Killingsworth. “A Still Sad Music” begins when Jeffery is fourteen years old and at the peak of adolescence. Despite his childish mannerisms, Jeffery experiences situations on a deep emotional level. As author, Shawn Merritt, reveals the story of this young boy, we learn that Jeffery has to face many of life’s most difficult situations, death, depression and suicidal tendencies, at an early age. In an attempt to wipe out the sadness that covers his world, the character spins into a tornado of substance abuse. All along Jeffery’s journey you are a front seat passenger to his vivid imagination. And you quickly learn that you must hold on tight because the ride is a wild one. Depression and substance abuse are difficult conditions to witness yet the author lays everything on the table so that we can suffer along with his central figure. Even the boy’s name, Killingsworth, foreshadows the bleak existence for which the protagonist is destined. The novel displays an intelligent writing style that is reflective of Merritt’s advanced study of literature. I was impressed with his narration and character development. While Merritt’s descriptive verse feels a bit unrealistic for a boy of fourteen, the words ring true when Jeffery transitions into a competent college student. Although mostly solemn and downtrodden, Jeffery is easy to connect to and I was silently rooting for him throughout the book. His inner most thoughts and feelings are unrestrained and gritty. There were times when I felt hopeless and wanted Jeffery to give up but there were also times when, like Jeffery, I could be pulled out of the abyss and plunked back into reality. 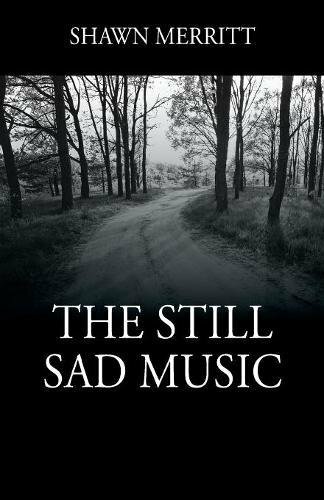 “The Sad Still Music” presents one young man’s struggle with anxiety, depression, addiction and suicidal thoughts. At times the battle is too tough to bear and we watch the main character careen into oblivion with drugs and alcohol paving the way. In many ways the novel also paints the larger picture of mankind’s struggle with life on earth. Through it all, Shawn Merritt’s book leaves you with a ray of hope that humanity, although inherently tragic, can win the war with misery and forge a path to peace and contentment. This is a good read for those who are curious about addiction and want to get to the heart of its causes. Like the novel, “Go Ask Alice,” it is a raw and riveting read that puts things in perspective.